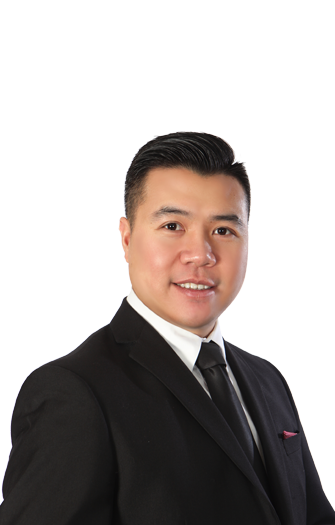 I used Tony Tran to sell my condo back in Dec 2016 and he did a great job. First off, my condo was going through some litigation and that scared off a ton of potential buyers. However, Tony was creative and he still found a way to make the sale happen. If you want someone who is always there to pick up the phone, professional and works hard for your business, give Tony a call. He understands the market well and most important, he understands your needs so you can be confident in getting the best deal. Selling or Buying? Call Tony, you will be glad you did! I am more than happy to recommend Tony Tran as a real estate agent. He took time to hear what my needs were as a seller and buyer. He made me feel unique by showing me homes that met my specific requirements. Tony places more interest in pleasing his clients than he puts into his business transaction. I am a senior and very difficult to please but I am very happy with the service I received from him. I highly recommend you call Tony for buying or selling. Not only was he helpful he provided excellent advice and showed why he is to be trusted in his field. Downsizing after having lived in my home for so long was stressful for me but he made the process seem effortless. He sold my home quickly and found my new forever home in both the size and location I wanted. His "open door" practice of being available to answer questions and calling me back promptly has made me even more confident in my decision to choose him to sell my home. I highly recommend Tony and appreciate the quality customer service I was provided. Thank you Tony for your patience and for making sure I was pleased with my decision. I could not have asked for a better realtor then Tony, the patience he had with us when we were purchasing our first home was amazing. He spent so many weekends showing us houses after houses and I'm pretty sure we put an offer on about 20 places but never worked out, until he found us a pre-sale townhouse. He found us every criteria we were looking for in a house in a townhouse and we couldnt be happier. I am incredibly appreciative for the time and effort he put in to make us happy. Thank you for my forever home.